Posted on January 26, 2016 at 1:37 pm. Most of Deep-Insight’s work is based on helping large international B2B organisations run effective Customer Experience (CX) programmes. The key to running a good CX programme is understanding how to change the culture of an organisation to make it truly customer-centric, and that has to be based on regular high-quality conversations – both formal and informal – with your B2B clients. Without regular client feedback, sales directors and account teams will not be in a position to address small issues before they escalate to a point where they damage or destroy the client relationship. When we plan Customer Relationship Quality (CRQ™) assessments for our clients, one of the questions I regularly get asked is “How many of our clients should we sample?” The stock answer that I’ve been using for the past decade is “Think Census, Not Sample”. In other words, get feedback from your entire client base – every single one – and it’s the answer I still use. It’s not meant to be a glib response but there are a few subtleties underpinning the answer that are worth exploring. Many market research and customer insight people – even in B2B organisations – tend to approach the subject of customer feedback from a consumer perspective, where there are tried and trusted approaches for surveying large customer bases, or “populations” to use the technical term. If you’re not that familiar with these approaches or terminology like random sampling, margins of error and confidence levels, have a look at the Box below. If you’re not a market researcher or statistician, don’t worry – there are plenty of good primers on the Internet explaining the basics of sampling techniques and associated terms – here’s one from YouGov. You’ll also find several handy little calculators on the Internet (here’s a link to one) which let you know how many respondents are required for a particular population (customer base) in order to give a confidence level and margin of error. From this, it’s easy to calculate the number of individuals you need to invite to participate in a survey in order to get a robust answer. Most opinion polls are conducted with a random sample of at least 1,000 people and here’s the reason why: pollsters like to be confident that their results are within a margin of error of 3% or less. Supposing the voting population in a country is 10 million people. Plug that number into our online calculator and we see that a 3% margin of error and a confidence level of 95% requires a sample of 1,067. All that is fine if you’re working in a consumer environment or if you have tens (or hundreds) of thousands of SME customers. 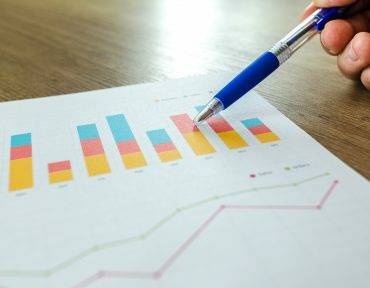 However, the traditional sampling techniques have less value when you are a B2B organisation and the vast proportion of revenues is generated by a handful of large clients. There may be a “long tail” of smaller customers but in most cases the Pareto Principle applies, whereby 80% of revenues are generated by 20% of clients. In some cases, the ratio can be 90/10 rather than 80/20. In such cases, the old traditional sampling approach needs to be chucked out of the nearest window and a different set of principles applied. Our approach is to be pragmatic and follow the money – concentrate on those clients that generate the majority of the revenues, and do a ‘deep dive’ into those relationships. It’s probably easier to explain using an example. 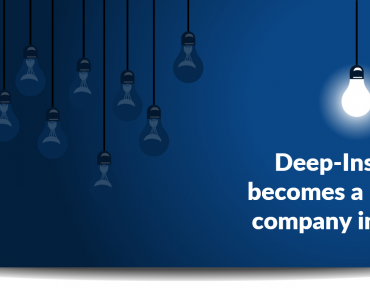 One of Deep-Insight’s UK clients has over 10,000 employees and generates annual revenues in excess of £1 billion. However, its customer base is actually quite small and the contracts it has with these key clients are extremely large. The company has several hundred clients in total but the vast majority of its revenues come from the ‘Top 100’ and even among the ‘Top 100’ the revenues are skewed heavily towards the 10 largest clients. From a pragmatic perspective, it makes little sense to take a sample of the Top 100 clients. You should attempt to get feedback from every single one and ideally you want to get a wide representation of views from across each of those 100 clients. Even from a statistical perspective, it makes little sense to sample – if you need convincing, have a look at the second Box below. Suppose there are 10 key individuals (at most) in each ‘Top 100’ client whose feedback is really “important” (in other words, the decision-makers who will renew the current contract when it’s up for renewal) that’s still only a population of 1,000 individuals across your Top 100 clients – run the numbers and you’ll see that you need to include all, in order to get a statistically significant sample. Let’s plug those figures from our Case Study into the online calculator and see what happens. For a population of 1,000 decision-makers, we need 278 responses to get a robust score (robust being a margin of error of 5% and a confidence level of 95%). Deep-Insight will typically achieve completion rates of 35-40% from its online B2B assessments so that means we need to invite 700-800 of those 1,000 key individuals to participate. If you think a margin of error of 5% is too high, then plug in 3% into the online calculator. Now the number of responses jumps to 517 out of 1,000. This means you DEFINITELY need to invite all 1,000 to participate to get anywhere near your target margin of error. Successful CX programmes in B2B companies are not built around statistics. They are built around empowering staff and providing account managers with all the customer feedback they need to manage client relationships more effectively. That means getting feedback from ALL individuals in those key clients and working really hard with the account teams to get participation and completion rates as high as possible. So when you’re planning your next Customer Relationship Quality (CRQ™) assessment, remember to get the account managers involved and “Think Census, Not Sample”. Posted on October 9, 2014 at 2:58 pm. 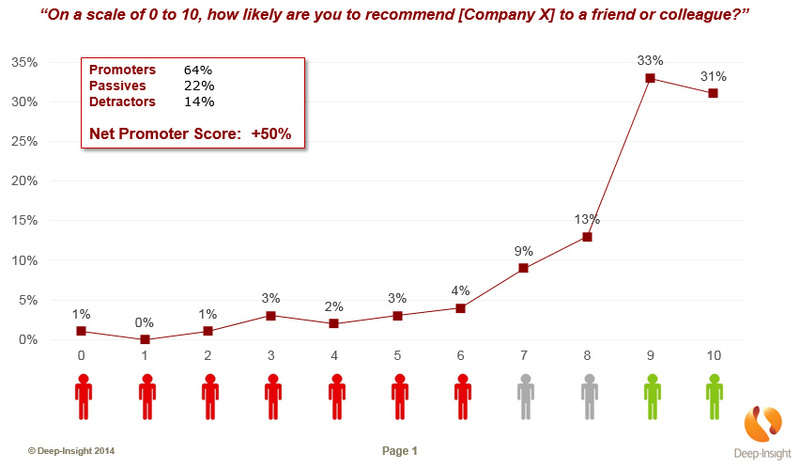 So what’s a good Net Promoter Score* for a B2B company? Well, it all depends. On a number of different factors. As we mentioned in an earlier blog, it can even depend on factors such as whether your customers are American or European. We can’t state often enough how crucial it is to understand how these various factors (we’ll discuss them in detail below) impact the overall Net Promoter Score you receive, as the NPS calculation makes it incredibly sensitive to small changes in individual customer scores. Be aware of these factors when deciding on a realistic NPS figure to aim for. Most Europeans consider a score of 8 out of 10 as a pretty positive endorsement of any B2B product or service provider, but in the NPS world, a person who scores you 8 is a ‘Passive’ and therefore gets ignored when calculating the Net Promoter Score (see box above). Here’s the thing. If you can persuade a few of your better customers to give you 9 instead of 8, then suddenly you’ve boosted your Promoter numbers significantly. We know more than a handful of account managers who carefully explain to their clients that 8/10 is of no value to them whatsoever and that if they appreciate the service they are getting they really do need to score 9 or 10. Sure, there’s always a little ‘gaming’ that goes on in client feedback forms, particularly when performance-related bonuses are dependent on the scores. However, we find it intriguing to see the level of ‘client education’ that account managers engage in when the annual NPS survey gets sent out! What Factors Impact Your Net Promoter Score? We said at the outset that the Net Promoter Score you achieve is dependent on a number of factors. So what are they? 1. Which geographical region do your customers come from? We’ve covered this point in an earlier discussion with Professor Anne-Wil Harzing – Americans will score higher than Europeans – probably 10% higher and possibly even more. 2. Do you conduct NPS surveys by telephone or face-to-face or by email? In the UK and Ireland, we don’t like giving bad news – certainly not in a face-to-face (F2F) discussion. Even if we’re talking over the phone, we tend to modify our answers to soften the blow if the feedback is negative. Result: scores are often inflated. In our experience, online assessments give more honest feedback but can result in scores that are at least 10% lower than in telephone or F2F surveys. This gap can be smaller in countries like the Netherlands and Australia where conversations and customer feedback can be more robust. It’s a cultural thing. 3. Is the survey confidential? Back to the point about culture – it’s easier to give honest feedback if you have the choice of doing so confidentially, particularly if the customer experience has been negative and you have a harsh message to deliver to your service or product provider. Surveys that are not confidential tend to give a rosier picture of the relationship than those that are confidential. 4. Is there a governance structure in place to determine which clients (and which individuals in those client companies) are included in the survey? At Deep-Insight, we advocate a census approach when it comes to customer feedback: every B2B customer above a certain size MUST be included in the assessment. No ifs or buts. Yet we are often amazed by the number of companies that allow exceptions such as “We’re at a very sensitive stage of discussions with Client X so we’re not going to include them on the list this year”or “We’ve just had a major delivery problem at Client Y – they certainly won’t appreciate us asking them now what they think of us”. In many cases, it’s more blatant – customers are excluded simply because everybody knows they are going to give poor feedback and pull down the overall scores. In some cases, it’s a little more subtle, particularly where it’s left to the account manager to decide which individuals to survey in a particular account. A proper governance structure is required to ensure ‘gaming’ is kept to a minimum and that the assessment process has credibility. If a company surveys its Top 100 accounts annually, senior management must be given the final say over which clients are added to or taken off the list. 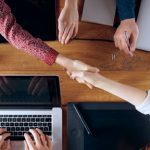 It’s not feasible to have the MD to approve every single client, but at least make sure the MD understands which of the major accounts – and which individuals in those accounts – are to be included on the list. 5. Is the survey carried out by an independent third party, or is it an in-house survey? In-house surveys can be cost-effective but suffer from a number of drawbacks that generally tend to inflate the scores. For starters, in-house surveys are rarely seen as confidential, and are more prone to ‘gaming’ than surveys that are run by an independent third party. We have seen cases where in-house surveys have been replaced by external providers and the NPS scores have dropped by a whopping 30% or more. Seriously, the differences are that significant. Now, coming back to the question of what constitutes a good Net Promoter Score in a B2B environment, here’s our take on it. Despite the claims that one hears at conferences and at the water coolers that “we achieved 52% in our last NPS survey” or “we should be setting the bar higher – the NPS target for 2015 is going to be 60%” these types of score are rarely if ever achieved. We’ve been collecting NPS data for B2B clients since 2006 and we have customer feedback from clients across 86 different countries. Our experience is that in a well-run, properly-governed independent confidential assessment, a Net Promoter Score of 50% or more is almost impossible to achieve. Think about it. To get 50%, you need a profile like the one below, where a significant majority of responses are 9 or 10 and most of the others are pretty close to that level. In Europe, that simply doesn’t happen. Our experience of B2B assessments is that a Net Promoter Score of +30% is truly excellent, and that means you are seen as ‘Unique’ by your customers. A Net Promoter Score of around +10% is par for the course – consider that an average score. A negative NPS is not unusual – approximately one third of our B2B customers are in negative territory and one in ten of our clients score -30% or even lower. In fairness, Deep-Insight’s customer base is predominately European or Australian so we also need to be careful about how we benchmark different divisions within the same company that are in different regions or markets. In our opinion, the best benchmark – for a company, business unit or division – is last year’s score. If your NPS is higher this year than it was last year, and nothing else has changed, then you’re moving in the right direction. And if your NPS was positive last year, and is even more positive this year, happy days!